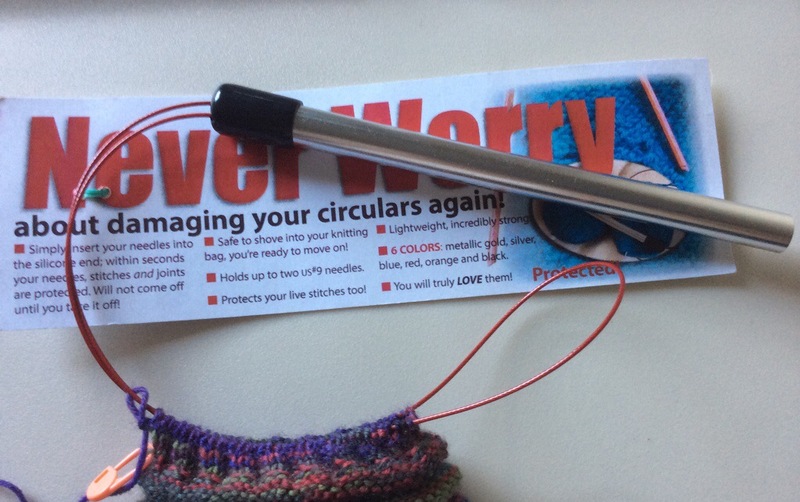 The last time I was in my LYS (The Village Knitter in Babylon), I picked up a really useful tool: a Needle Keeper for circular needles! It works wonders at keeping my sharp Chiaogoo size 1s from poking holes in my project bag (or through my purse). 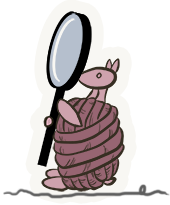 I only wish I had one of these when I was dragging my Pi shawl around. I wouldn’t have ended up with a zillion dropped stitches! In other news, Shannon Okey, Mad Scientist at Cooperative Press and all around good person, is trying to buy back the rights to her book ‘Spin to Knit’. Right now Interweave owns the rights. When she has them back, Shannon plans to print a gorgeous new edition of the book. You can help out by buying a copy here. I’m still trucking along on that first Mojo sock. I have about ten rows left before I bind off. I’m traveling this weekend, and while I don’t plan to have much time to knit, I’ll pack the second ball of yarn just in case.